Last week’s Retail (R)Evolution hosted by Pitney Bowes explored how global e-commerce is evolving, and NMPi’s CEO, Luke Judge, was there to share his expertise on cross-border marketing along with Feng Chang from Rue La La and Jodi Goldberg from Google. The panel session highlighted four key themes, delving into the strategies that every international retailer should know for building successful cross-border marketing campaigns. If your business is new to international e-commerce then it can be daunting to decide where to begin. Each market is unique, even if they share a language they will have their own nuances, so how do you choose? We don’t advise going global initially, instead look at your data and see what it is telling you. For instance, brand awareness will have a massive impact on your success within a market. If a consumer is aware of your brand it boosts their propensity to buy. Using the likes of Google Trends you can gain insight into which countries have a greater search volume for your brand terms. Make sure to check this yearly, just because the market is always changing. Brand awareness, whilst a good indication, is not the only area to consider. What language is your existing site in; if its English will that affect the likelihood of an international consumer making a purchase? Look at areas which may have a greater population of expats, or perhaps areas where you have a price advantage. All of these factors come into play when selecting which markets to enter, but once you have selected a market there is still more to be done. One of the first things you have to set up when you’re preparing to break into international markets is your inventory. The products you sell need regional interest and be mindful of seasons. For example, due to the difference in seasons, if you are a retailer in the US or UK countries like Australia or South Africa are great for getting rid of old seasonal stock. Having a big inventory to choose from is useful, but it isn’t crucial. Don’t discount the power of a small product selection in which everything has a high demand. Also, having exclusive rights to sell a high demand product will greatly increase your chances of success. If you cannot be price competitive within a market, and your products are not exclusive then it is very unlikely you will be able to steal market share and beat out the competition. This should make it one of your top priorities, especially when working with a limited inventory. Price conversion, whilst it might seem obvious, is something we recommend having in place before expanding into a market. Not only do your products sell better when in the local currency, but helps to avoid confusion and mismatched pricing between your Google Shopping campaigns and your Paid Social campaigns for example. Don’t forget to factor in the extras such as import taxes and international shipping, as we sometimes see customers abandoning their baskets after seeing additional costs. On that note, campaigns tend to perform better and drive a greater ROI when shipping promotions are included. When you’re breaking into a new market, including an offer for free international shipping in your ads will often result in a higher conversion rate, but make sure to be upfront about the thresholds of this promotion. No consumer likes to get to the end of a purchase and realise they don’t qualify for your promotion. You might be tempted to take advantage of one of the many sales holidays across the globe like Singles Day in China, Click Frenzy in Australia, and Black Friday, which has become a truly worldwide phenomenon. However, when it’s not your domestic market you may find that despite having great offers you lose out on sales because of international shipping. Unless you can compete, it’s better to avoid getting lost in the crowd and hold off on your international promotions until after the holidays. We often see better performance when clients offer free international shipping outside holiday sales periods as it removes the need to devalue inventory and reduces competition. If shipping promotions are not right for your business, ensure that you find the right balance of product cost and shipping cost. Too high a shipping cost, and much of your ad spend gone into bringing them to the site will be wasted. Too high a product cost, and you’ll struggle to get potential customers onto the site. It’s important to keep your basket abandonment rates in mind to help you strike the perfect balance. Each marketing channel has their own strength and weaknesses. For instance, visual channels such as Google Shopping, Display and Social Media grab the attention of the consumer and help to increase awareness of your highlighted products. Paid Search, on the other hand, is great for getting the consumer to convert. Just as different channels have different outcomes, marketers have a range of goals they need to achieve. It would be unwise to place all your eggs in one basket and expect for an adequate ROI. Create a holistic approach to your international marketing strategies and make sure all of your channels are communicating with each other. If you track Search conversions on AdWords, Display conversions on Criteo and Facebook conversions through the Facebook pixel, you might be triple-counting your sales and wasting all-important budgets. Complete oversight is one of the biggest ways to ensure success when breaking out internationally. China’s advanced image recognition technology will expand into western countries like the UK and US. NMPi is thrilled to announce the official launch of our third international office in Sydney, Australia. This expansion comes hot on the heels of our recent openings in the Netherlands and Switzerland. 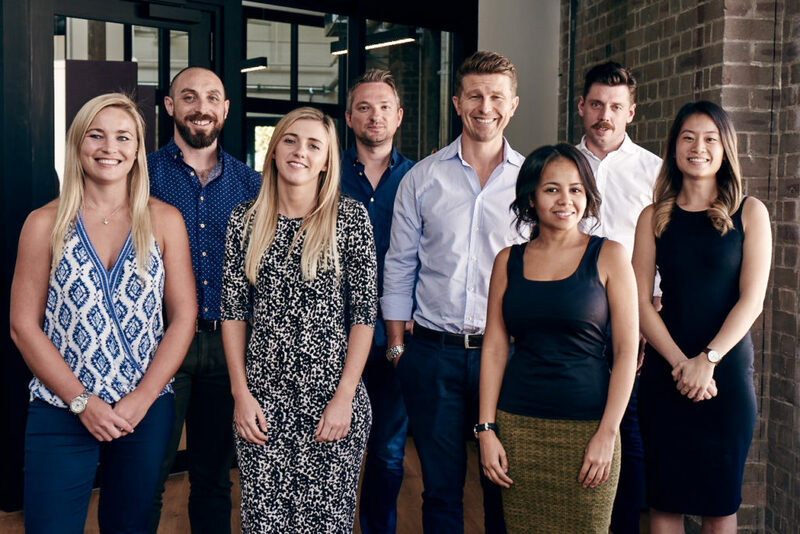 We’re also pleased to be partnering with global digital agency, Clicks2Customers, who will be rebranding their digital advertising solutions under the NMPi banner. Our Australian team will be led by former Googler, and current Managing Director of Australia, Sam Shennan. Sam has over 10 years digital experience and has partnered with some of the region’s leading brands including Westfield, Woolworths, and TopShop. We are extremely pleased to announce that Gerard Moussault will be joining the NMPi team as Managing Director Benelux. In his new role, he will grow NMPi’s digital agency brand in the Benelux market. Gerard takes over the role from Pieter Slingerland who will now focus on DQ&A. We’re excited to announce the addition of our newest office in Zurich, Switzerland. We’ve opened two offices in only four months; launching in October 2016 in the Netherlands. We’ve set our sights on continued global expansion, and this year we’ll keep that pace going with plans in the works to grow the business in Asia, the US, and Australia. Along with the launch, NMPi has announced a new client win: Swiss-based premium denim brand, 7 For All Mankind. The expansion into Switzerland also takes advantage of our international partnership with DQ&A, technology consultant and DoubleClick reseller. The launch of NMPi Switzerland boasts an experienced team of account managers, strategists, and analysts, who work with international and local clients including, HP, Swisscard, Avia, and Österreich Werbung. Their services will include NMPi’s full suite of digital solutions; Analytics, Paid Search, Paid Social, and Programmatic Display. Google Tests Black Friday PPC Ad in the U.S.
Black Friday and Cyber Monday have come and gone in such a whirlwind many of us are still recouping from the shopping fury. But did any of you notice Google’s been testing a special Black Friday AdWords ad format in the US? The ad below is an example of this new Black Friday Paid Search ad. The ad allows you to add specific Black Friday and Cyber Monday attributes to your ad text. These attributes are displayed as an extra line on the ads. *Text in image has been made bold to emphasise change to ad. The theory is that by calling attention to specific Black Friday or Cyber Monday special offers the CTR will increase. With a greater CTR we would hope to see an increase in the conversion rate as well. Right now we have more questions than answers about this new product. Only time will tell how affective this extra line of text was. We are delighted to have been invited to speak at the upcoming Third Digital Marketing and gTLD Strategy Congress on 3rd March 2014 in New York. In hosting the panel discussion, we will be joined by Yandex, and Baidu’s exclusive European partner, CharmClick. The event has been designed to coincide with the launch of hundreds of new TLDs (Top Level Domains) which look set to revolutionise the way that brands market themselves online. The emergence of the new Top Level Domains (TLDs) will give brands the opportunity to transition from .com to .BRAND or to generic TLDs such as .London, .Club, .Tickets, .Vegas, .Finance, .Hotel. Our panel will discuss what the new TLDs will mean for the future of Search, and explore how brands can use this opportunity to target new markets, new customers and new revenue streams to lead the way in a new digital era. In the session, delegates will hear how the leading global search engines will respond to the new TLDs and learn how they intend to manage and index the new TLDs alongside existing domains. The panel will also discuss how brands can use the new TLDs to redefine their online presence and better reflect their business objectives, markets and products through their domain URLs. This major industry event will bring together global brands to learn and share how best to exploit the new approaches for brand engagement and online marketing strategies that will best position their brands for future online growth. Please click here to reserve your space and be a part of the next big thing for brands. Last week Yandex announced the launch of a CPA model for their Yandex Market shopping comparison product. From next month customers will be able to purchase directly from Yandex Market, going straight to the checkout without leaving the webpage. This massively simplifies the checkout process and should lead to a higher conversion rate for online stores. Using the CPA model, stores will pay Yandex a percentage of the value of each order, regardless of the product category. Sarah, a Yandex Certified analyst at Net Media Planet thinks “the CPA model, offered alongside the normal CPC model, should lower the risk of entering Russia for UK companies. Join the UK businesses seeing success in Russia with the adoption of Yandex advertising. For further information on the new CPA model or about any other advertising options with Yandex, please get in touch with Luke who will be happy to help. Members of Net Media Planet are Yandex Certified. The travel sector is one of the most prolific spenders in Paid Search marketing. Indeed, travel companies spent more on pay-per-click advertising than any other industry except for finance in 2012*. As the market becomes more and more saturated, brands are under increasing pressure to drive efficiency and performance from this channel. Here are some of our key insights specifically on how brands can use Paid Search to drive online performance. Top tip: Keywords in the awareness and research phases may appear to have low conversion volumes, but may be fundamental in the path to conversion so it is essential to track and monitor the click path. By reviewing the click path you will be able to quantify the effect of bidding on these keywords to see if they are truly having an effect on account performance. Understandably, not all brands want to target expensive generic keywords such as ‘holidays’ or ‘cheap holidays’, and in some cases it may not always be profitable to appear in the top position. We would recommend that you conduct positional tests on keywords and monitor performance to determine what positions perform the best for your keywords. Top tip: It is important to consider your margins when developing your bidding strategy. For products with low margins, ROI can often be improved by appearing in lower positions with carefully selected keywords such as long tail or brand specific. Top tip: Make a conscious effort to ask users to review their experience with your company to ensure you meet the threshold for reseller stars to appear. This will give the user extra confidence that you are a trusted website and increase your CTR. The travel industry typically has a long research phase, so ensuring that your landing pages are helpful and memorable to the user will keep your company in the forefront of their mind during the path to conversion. We would recommend that you include destination specific pages that not only detail the great offers available, but can also provide descriptive information or images on the destination and sub-destinations. Top tip: Include additional information on the landing page such as local weather forecasts, insights into the local culture, available activities and insider tips. This will show the consumer that you are an expert in the sector. This in turn will help to increase the length of time consumers are spending on your site and the likelihood of returning. Top tip: Consider Remarketing, as this approach is very effective for this sector, for example if your company also sells travel insurance or car hire, you can remarket users who have bought a particular holiday, hotel or flight with this type of complementary product. In this competitive market, things are changing quickly and brands are struggling to keep up. Driving the highest performance from your PPC activity will enable you to stay one step ahead of your competitors. We hope that the tips in this article will go some way to helping you run an effective and efficient campaign. Good luck, and please do contact us if you have any questions! Last week, Net Media Planet held a breakfast seminar, as part of its popular Net Media Planet Invites…. series. The event brought together over 70 Marketing and Industry professionals to learn how brands can successfully internationalise their businesses in order to capitalise on growing consumer demand from across the globe. It was a truly international occasion, which welcomed delegates from Italy, Poland, Germany, France and China, to learn, share and debate the growing importance of internationlisation for businesses. Delegates heard from Google, who shared brand new research on the scale of the international opportunity for UK businesses. This was together with some of the latest tools and technology available to help brands internationalise their online marketing activities. To view the presentation please click on this link; http://www.slideshare.net/slideshow/embed_code/22049859. Finally, we heard how these techniques have been successfully put into practice with the Microsoft Store expansion story, which gave a snapshot of how one brand has successfully entered into over 40 different markets. To read more about the Microsoft Store story please click on this link; http://www.slideshare.net/slideshow/embed_code/22049869. Our thanks go to our speakers, Martijn Bertisen from Google, Jens Reisswig from Microsoft Store/Arvato and Sri Sharma, for the thoroughly interesting and insightful presentations. We hope that you find these slides informative. If you have any questions about the event, or about starting or expanding upon your own international operations then please don’t hesitate to call Digby to discuss further on 020 7186 2111 or email him at [email protected].